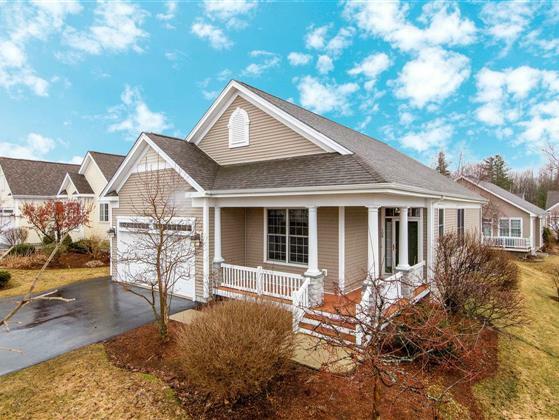 Meticulously maintained, bright & sunny 3-4 bedroom, 2 1/2 bath carriage home in a wonderful South Burlington neighborhood! This home features beautiful hardwood floor, spacious foyer and a great room with gas fireplace, built ins, and lots of windows. Easy working kitchen with plenty of cabinets & counter space including breakfast bar & center island, dining room opens to kitchen & living room. Fabulous 1st floor master suite with updated full bath including quartz vanity, tiled shower plus a soaking tub. Office/den with closet could easily be 4th bedroom! Don't miss the finished lower level with garden windows, spacious family room, 2 guest bedrooms and a full bathroom. Plenty of storage and a cedar closet. Back deck for entertaining with retractable awning, central AC for your comfort. Minutes to scenic overlook park, open fields, recreation/bike path, UVM Medical Center as well as schools & shopping. Enjoy Church Street Marketplace, downtown Burlington & Lake Champlain!